Stratosphere: The stratosphere is the second major atmospheric layer above the troposphere, extending in altitude from about 8 to 30 miles high. 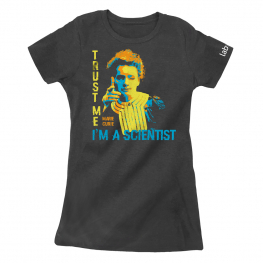 No weather occurs in the stratosphere. 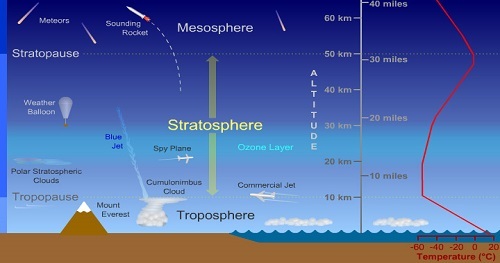 The stratosphere contains over 15% of the total mass of the atmosphere, and is where the ozone layer is located. Air temperature slowly increases with height in the stratosphere, in contrast with the troposphere where the temperature rapidly decreases with height. This unusual temperature structure is caused by absorption of sunlight by ozone. All weather stops at the top of the troposphere (called the tropopause), and the stratosphere is essentially cloud-free. There are currently no items matching "Stratosphere".